Head in any direction from Redding and you are bound to run into one of the many breathtaking waterfalls we have here in Northern California. Some are as close as 15 minutes from downtown, while others are just a short scenic drive. Whether you’re a serious hiker or someone with limited mobility, there are awe-inspiring cascades for you. 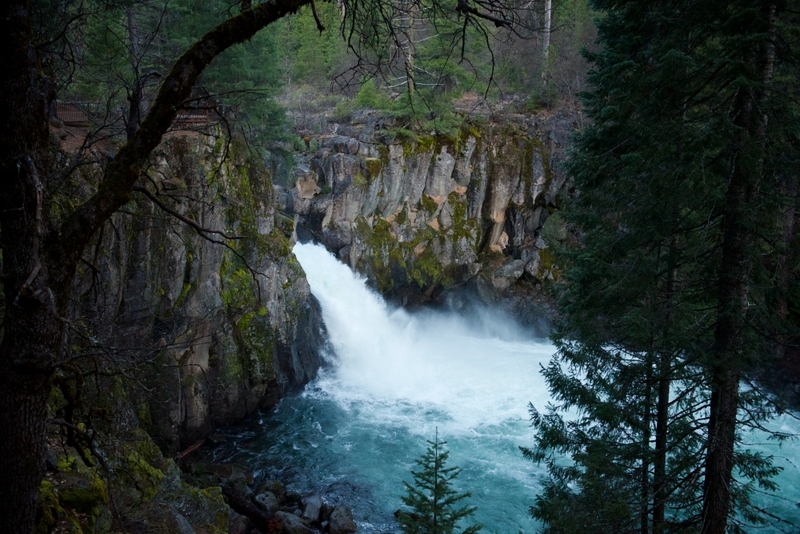 Easy access to Burney Falls east of Redding in McArthur-Burney Falls Memorial State Park and all three of the McCloud River Falls makes them perfect spots for people unable to hike. 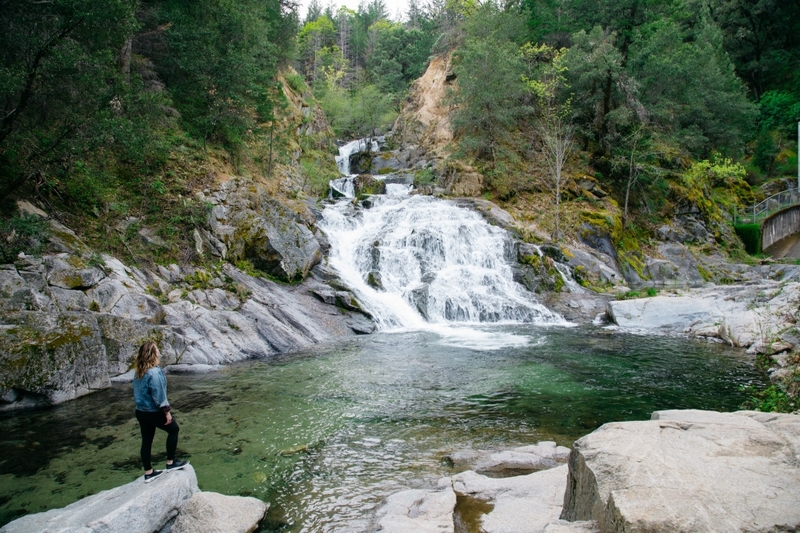 In fact, eight miles west of Redding in Whiskeytown National Recreation Area is the ADA Accessible Lower Crystal Creek Falls (pictured at the top) - a 0.25-mile paved walkway to the base of the falls. 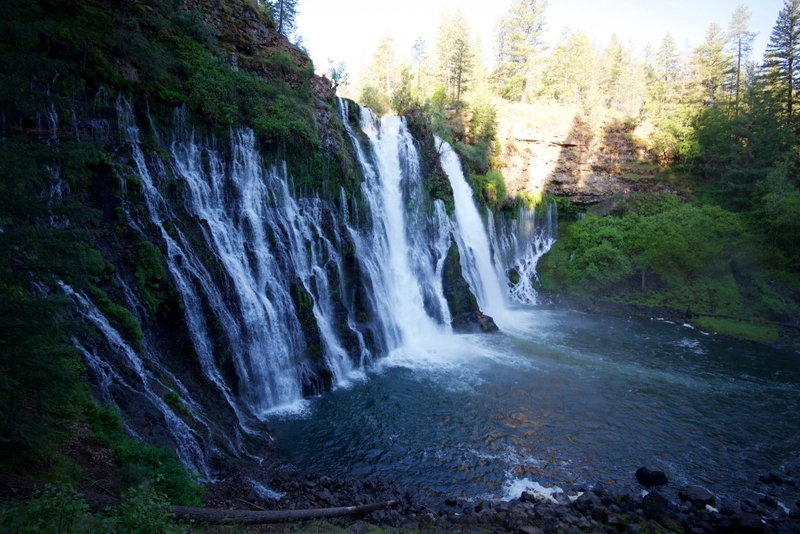 You can also view Burney Falls from the top lookout spot near the parking lot and you can practically drive to to see each of the Lower, Middle and Upper McCloud Falls with a short walk from the parking area. 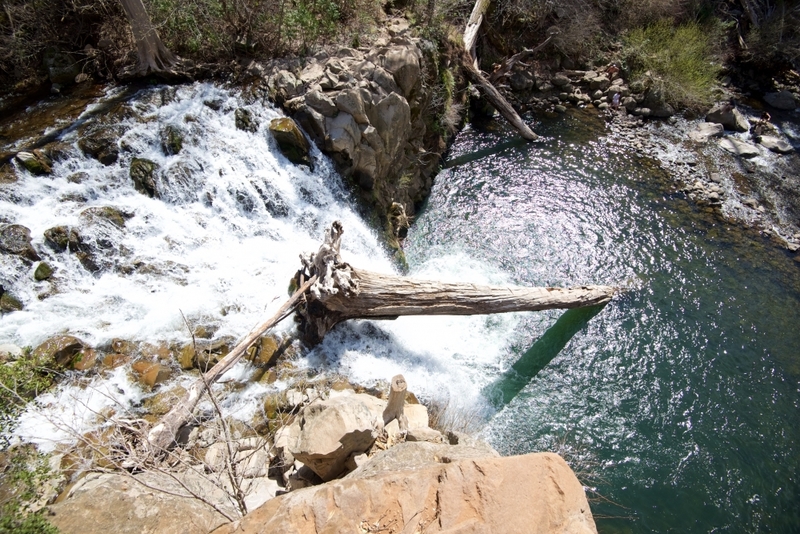 Check out the famous Waterfall Loop around Redding! 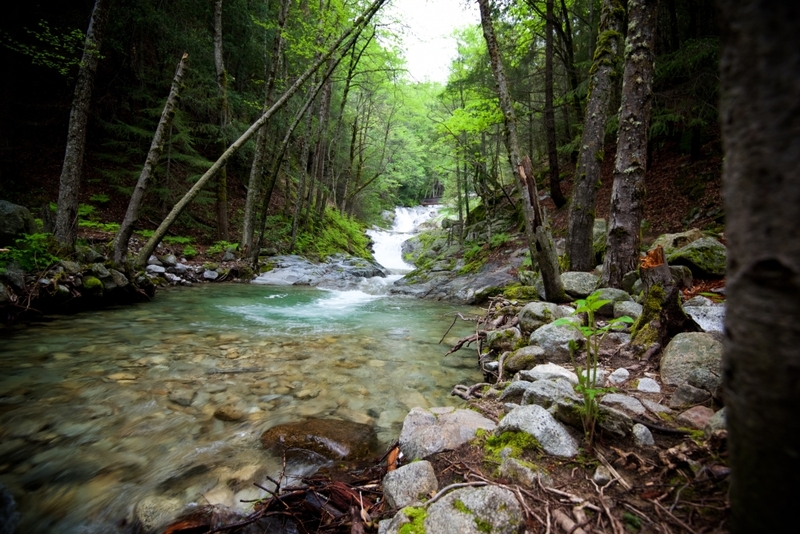 For the more adventurous hikers, Brandy Creek Falls in Whiskeytown National Recreation Area, Hedge Creek Falls (north of Redding), Kings Creek Falls (east of Redding) in Lassen Volcanic National Park, and Feather Falls and Phantom Falls (south of Redding) are exceptional options. All of the falls in the area are uniquely beautiful and each one offers it’s own experience that is worthwhile. Hiking alongside Brandy Creek up to the falls. Brandy Creek Falls in the spring is full of cascading falls surrounded by moss-covered rocks. If you are planning on visiting any of the falls during the summer months, be sure to bring your swimsuit! 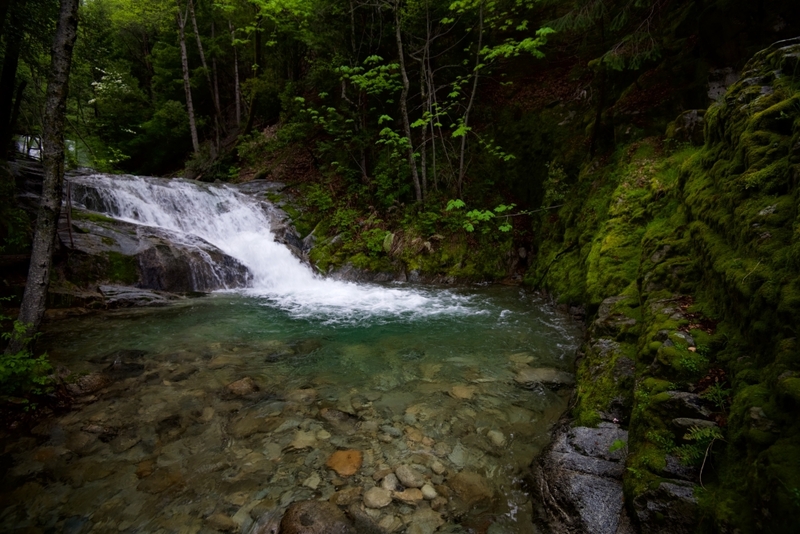 Some of them have great swimming just below the cascade such as Lower McCloud Falls, Lion Slide Falls (aka Hatchet Creek Falls). A little online research will give you all the information you need to know on whether or not there is swimming where you’re headed. Lion Slide Falls is my personal favorite to splash around in! The water at the base of some of the other waterfalls in the area might be a little colder than the surrounding lakes, but the scenic views accompanying your swim quickly make up for it. 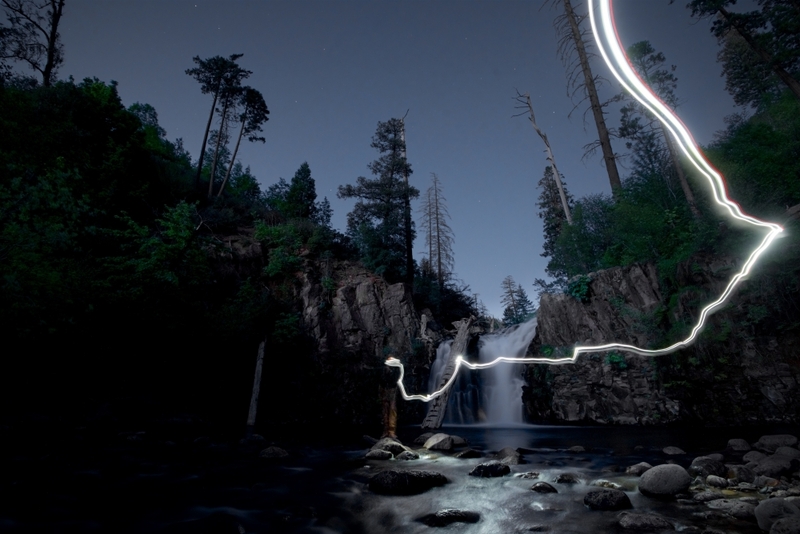 Long exposure shot of someone walking to Lion Slide Falls with a headlamp on.